In Russian historiography the term Upper Oka Principalities (Russian: Верховские княжества - literally: "Upper Principalities") traditionally applies to about a dozen tiny and ephemeral polities situated along the upper course of the Oka River at the turn of the 14th and 15th centuries. Nowadays, the areas concerned lie within the bounds of the Tula Oblast and Kaluga Oblast of Russia. Following the Mongol invasion of Russia of 1223-1240, the formerly mighty Principality of Chernigov gradually degenerated to a point where the descendants of Mikhail of Chernigov (c. 1185 – 1246) ruled dozens of quasi-sovereign entities. As the principalities were wedged in between the ever-expanding Grand Duchy of Lithuania to the west and the nascent Grand Duchy of Muscovy to the north, their rulers were constricted to continually fluctuate between these two major powers as buffer states. By the end of the 14th century, they were obliged to pay annual tribute to Lithuania. The strengthening alliance of Lithuanian rulers with Roman Catholic Poland caused shifts in the balance of power in the region. Most Orthodox rulers of the Upper Principalities, therefore, started to look to Moscow for protection against Lithuanian expansionism. Towards the end of the 15th century, most of these princelings had moved to the Muscovite court. In 1494 Lithuania finally renounced her claims to the region. Obolensk - the seat of Princes Obolensky with their cadet branches of Repnin, Lykov, Dolgorukov, Shcherbatov, etc. Lubawski M.K. Regional Division and Local Administration in the Lithuanian-Russian State. Moscow, 1892. Bazilewicz K.V. Foreign Affairs of the Russian Centralized State. Moscow, 1952. The House of Dolgorukov is a princely Russian family of Rurikid stock. They are a cadet branch of the Obolenskiy family and as such claiming patrilineal descent from Mikhail of Chernigov. Principality of Tver was a Russian principality or duchy, which existed between the 13th and the 15th centuries. 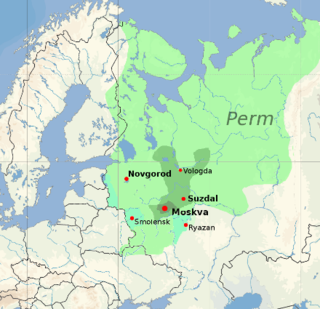 It was one of the states established after the decay of the Kievan Rus', and in the 13th century Tver rivaled the Principality of Moscow and aimed to become the center of the united Russian state. Eventually it lost, decayed, and in 1485 was annexed by the Grand Duchy of Moscow. The principality was located approximately in the area currently occupied by Tver Oblast and the eastern part of Smolensk Oblast of Russia. The capital of the principality was Tver. 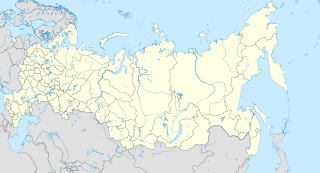 Odoyev is an urban settlement since 1959, in the west of Tula Oblast, Russia, the administrative center of Odoyevsky District. It sits on the left bank of the Upa river, a right-hand tributary of the Oka river, 75 km away from Tula. Odoyev had the status of town prior to 1926. The House of Odoyev was a princely Rurikid family descended from the sovereign Princes / Dukes of Odoyev and Novosil. Their ancestors were the Upper Oka sovereigns who ruled the tiny Principality of Odoyev until 1494. In the following decade the family was absorbed into the ranks of Muscovite boyars. The Odoyevsky family died out in the mid-19th century. The family was listed in the 5th part of the dvoryanstvo registers of the Moscow and Vladimir regions.